WhatsApp is still learning work when it comes to upgraded features… Telegram stepping its game has announced a new privacy feature called ‘Unsend Anything’. The new feature allows Users to delete, if they so desire, any message sent or received in a private chat. Telegram says that deleted messages will disappear from both sides of the conversation and there will be no trace of them left at all. This is an extension of the ‘Unsend’ feature that was launched 2 years ago limiting users to only 48 hours. But this new feature bypasses that… with two taps, users can remove any message they sent or received with no time limit. When this setting is enabled, it will not show where the message came from. Currently, when you forwarded messages on Telegram, it shows where the message came from. Telegram has also added a search option for settings, allowing members to quickly find the particular setting that they want to change. Lastly, Telegram has added VoiceOver on iOS and TalkBack on Android, which are both controlled by gestures. Both provide spoken feedback so that Telegram can be used without seeing the screen on a mobile device. 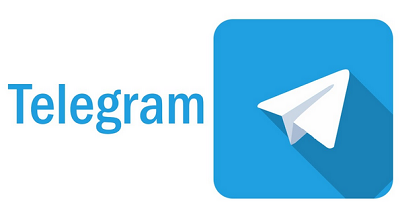 You can download Telegram for iOS on APPstore and for Android on Playstore.